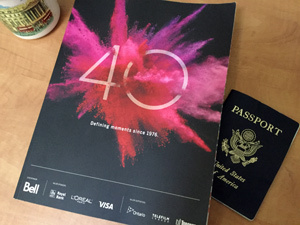 The Toronto International Film Festival turned 40 this year. But to this late-comer to the festival (I’ve only attended six), TIFF might as well have always existed. TIFF just is. TIFF is the phenomenon that happens every September, where new films from around the world converge in a marketplace — a literal market for buyers of film, as well as a marketplace of ideas. We attendants can sample the drama from films large and small, commercial and experimental, and try to make sense of the global zeitgeist. Nearly every film I saw featured at least one character who smokes cigarettes. It got so that I could practically smell them. I’d like to think filmmakers still use them only for aesthetic reasons — because smoke looks good on film. But maybe we can infer something worse — that the world is a more tense place than usual, and more people turn to nicotine for their nerves. I’ll have much more to say about the films I saw in the coming weeks. Keep checking this page and its sidebar for new links to reviews. For now let me leave you with those teasers while I spend more time figuring out what the world was trying to tell me at this year’s TIFF.